Applying for Free and Reduced meals via SchoolCafe makes the application process easier than ever. Parents can select their students, input household information, and complete their application all within minutes. No need for cumbersome forms or mailing physical applications. SchoolCafe Applications tailors the application process to make applying easy, quick, and seamless. Parents only need to fill out information that fits their needs. Once a parent fills out an application via SchoolCafe, districts can review it and approve their application immediately. With seamless integration into PrimeroEdge, SchoolCafe cuts down the application process, from start to finish, to only a few minutes. Don’t rely on snail mail to send and receive verification responses. 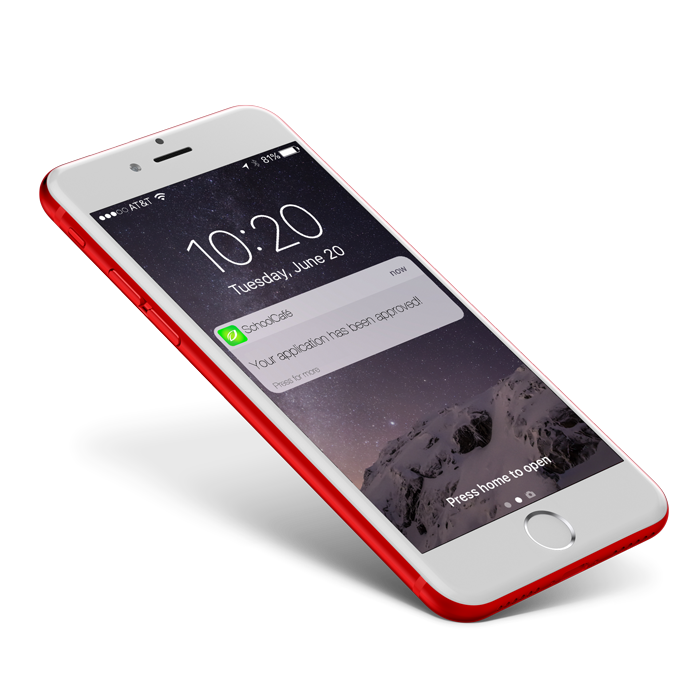 Send push notifications straight to parents’ phones – ensuring verification letters never get lost in the mail or sent to the wrong address.